Rooibos (Aspalathus linearis) is a legume. The bush grows only in a specific region of the Cape in South Africa. The bush is chopped and oxidized following the process used to produce black tea. Also called Red Tea, Rooibos is popular in Europe where it is served with lemon and honey or sugar and milk. 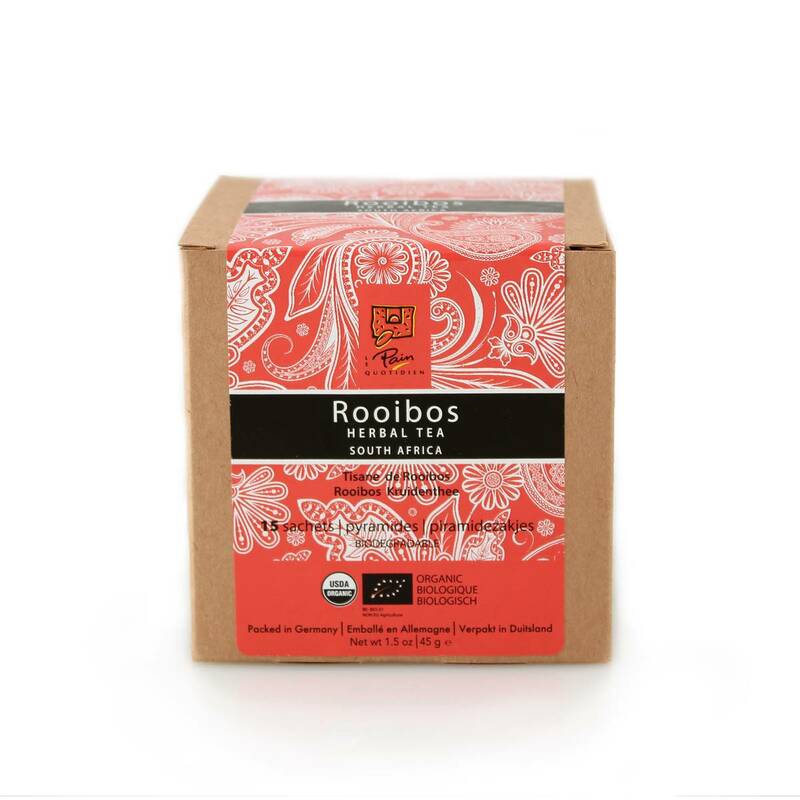 Rooibos is caffeine free.